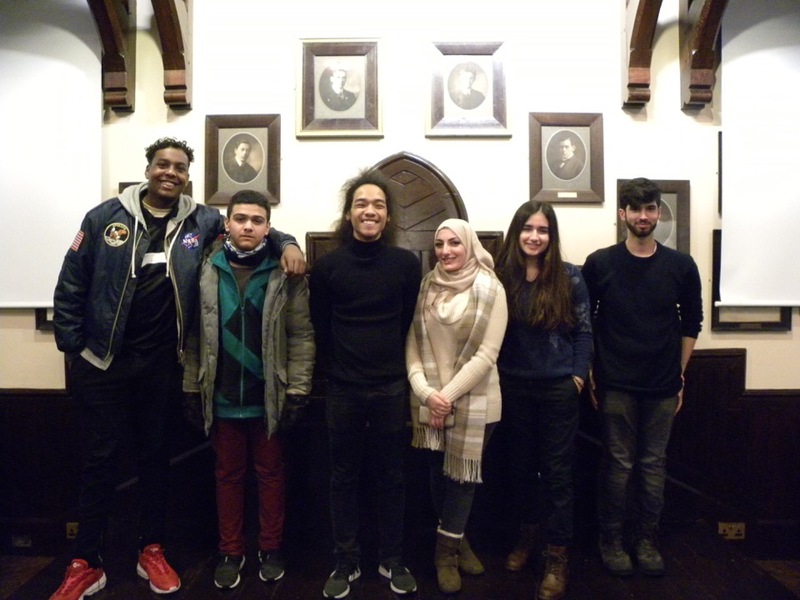 At 7.15am on Saturday 3 March, four Year 13 students boarded the minibus with Mr Senior, Director of Sixth Form, to make the hour and a half journey to attend the Cambridge Union Final. Two teams won places at the final. The first team were made of Sara Dehvari and Haider Nazerali. Our second team was Salem Ali and Akira Alman. Both teams had won a place at this much coveted final consisting of only 36 teams from all over the world. To win their place in the earlier debating rounds they had beaten prestigious independent and selective schools including Haberdashers’ Aske’s Boys’ School, Watford Grammar School for Boys, John Lyons School and Merchant Taylors’ School. Just being at this final was an amazing achievement as the best debaters in the world were at the event, some flying from as far as Canada, Sri Lanka and Singapore. Some of the debaters were in National Squads and debated for their country. Thanks to Mr Mitchell for running the weekly practice debates and for organising and attending so many competitions throughout the year. This entry was posted in Kingsbury High School and tagged cambridge union schools debating, debating and public speaking, oxbridge, Upper School Debating Society by kingsburyhighlondon. Bookmark the permalink.